Inquiring readers: Not often does news of great import come our way, such as this item unearthed from the depths of Andrew Capes’s crashed computer. His having retrieved it is nothing short of miraculous, for now he can share the rest of Charlotte Collins’ story with the world. If you found this news item as intriguing as I did, please let him know what you think of it in the comment section below! Article copyright (c) Andrew Capes. intimate connections for a great many years. who is also the late Mrs Collins’s sister-in-law. remain mistress for over half a century. combined role of cousin, mentor and librarian. some might say, notorious – around the world. occupied in the completion of such journeys. Bart, upon the death of his ﬁrst wife, Anne. visit to London in 1864.
those of the former Bennet sisters. excitements and discomforts of that journey. her many friends and relations. This Obituary Notice was discovered in the archives of the (fictional, of course) Hertfordshire Gazette, a long defunct weekly newspaper which circulated (as its title implies) mainly in Herfordshire, during the latter half of the nineteenth century and the first half of the twentieth. The piece was deliberately written without reference to any of the many continuations of P&P, even those attributed to Jane herself. I felt that a retrospective view from 63 years on would imply a much greater leap of the imagination than a mere ‘continuation’ of the novel would require. What was the ‘Kitty’ Carter trial? The details are not recorded – but there WAS a notorious murder trial in 1862 – a nurse called Catherine Wilson was tried and found guilty of multiple murders for money; she was the last woman to be publicly hanged in London – some 25,000 people attended her execution. The ‘Kitty’ Carter trial was clearly much more ‘classy’ than that, involving scandal in very high places, and a very different outcome; it probably would not have involved murder. Carter, of course, was one of Wickham’s fellow officers. Two of the marriages are with much older women. Is this not improbable? Uncommon, but by no means improbable. It was certainly possible for an older woman to marry a younger man. I think the Mary/Thomas marriage entirely natural; and although the Arthur Wickham/Anne de Bourgh one might be a little more unlikely, Arthur would have inherited his father’s title (which was granted only a short time before his death in action in the First Affghan Campaign of 1837-39) when he was in his mid-20s and Anne was newly independent on the death of Lady Catherine. What was Sir Timothy Collins’s post in the Gladstone cabinet of 1871-74? He was Chairman of the Local Government Board, a new post created by Gladstone in 1871. He must have been promoted when he was quite young. In historical fact, the post of President of the Board went to Sir James Stansfeld, but I think Sir Timothy probably edged ahead of him at the time of the vote of no confidence in Stansfeld as Civil Lord of the Admiralty in 1864. Stansfeld, incidentally, was also a great supporter of Garibaldi. No such line was actually built – the railway at Ware was built in 1843 by the Great Eastern Railway. However, the Great Northern did build a line from Welwyn to Hertford in 1858 which connected with the Ware line. The Great Northern main line would have made access from Yorkshire and Derbyshire to Meryton via Hitchin or Hatfield very much easier than it had previously been from about 1851 onwards. Respectfully submitted by Andrew Capes. Your comments are most welcome. That was a lot of fun! I love the old picture you found. I could well imagine a lot of this obit. coming true. Such fun! I can well imagine that Charlotte enjoyed a long and prosperous life. You managed to work in a lot of Jane Austen characters we have come to love. So clever. That was a lot of fun! The only one f in Afghan, though! Affghan was commonly spelt with two ffs throughout the C19; see, for example, Alexander Allerdyce “The Close of the Affghan Campaign” in Blackwoods Magazine, November 1880. Google it – there are plenty of other examples. Glad you enjoyed the article! Lively and lovely. I believe Jane would approve. Would you please write more?? Reading this was so realistic and fun. Usually, I do not enjoy reading Jane Austen “spinoffs”. However, your writing is the exception. More—please. That was such fun to read! I have to admit my heart did a flip when I saw Mrs. Darcy was widowed. I have often wondered which would predecease the other. I would like to read more by this author. I started losing my way and half believed for a delicious moment that it was all true. My goodness how well written. His attention to detail made the entire death notice totally believable. Excellent job! I truly enjoy things like this; when one loves the characters created by Jane Austen as much as I do, one is always delighted to hear news of their lives later. This was very creative. I enjoyed it very much. I think Charlotte’s character and reputation were very detailed and helped to see the character as a real person. The title caught my attention immediately, especially since I just entered the “Jane Austen Made Me Do It” short story contest (currently being hosted by The Republic of Pemberley) with a story entitled “Mr. Collins’s Last Supper.” It’s a totally tongue-in-cheek account of poor Mr. Collins’s early demise. Great fun to write (and read too, I trust)! As in your scenario, Mrs. Collins lives on remarkably well without him to a ripe, old age. One of the most brilliant, witty, and original continuations I have ever read. I have one carp: where are Elizabeth and Darcy’s descendants? Did Lizzie have only nieces and nephews? Who, oh, who inherited Pemberly. None of the Darcy descendants were directly connected with Mrs Collins, and would not therefore be singled out for a mention even if they were present at her funeral. Jane Lucas, on the other hand, was her sister-in-law, and merited a mention in her own right. Snobbishness alone was responsible for the report of Lydia’s presence, since she was titled; this is fortunate for us, as we learn about the Rosings connection from it – there was no other justification for her mention: this was a small provincial newspaper and the reporter would have been somewhat in awe of such titles. Very, very clever and thoroughly enjoyable. Thank you. One quibble, though. I believe a knighthood is only for life. I’m pretty sure Wickham’s son could not inherrit the title. George Wickham was created a Baronet, a hereditary title – like Sir Walter Elliot in Persuasion. Many of the Baronetcies created in the 1830s still exist today, so there could even be a Wickham de Bourg descendant with the same title (as the seventh or eighth holder) walking around in 2011. It was a very rare honour indeed for a military man, so something utterly extraordinary must have given rise to it. One day we might even find out what that was! Interesting Obit! Very lively and entertaining. I wonder how the Collinses continued to stay in Longbourn Hall after Mr. Collin’s untimely death, since the estate is entailed, as the Bennet sisters couldn’t inheritit from their father? Maybe its was held in trust by Charlotte for Thomas till he reached the legal age to inherit? When Mr Collins came into full possession of the Longbourn estate in 1823, I think he was meticulous in changing the legal status of the property and updating his will, so that most of the estate would pass as a dower to Charlotte for her lifetime if she survived him, which of course she did. Some of it may well also have been held in trust for Thomas until he reached his majority in 1834. An entailment was only to last 3 generations and had to be renewed by the third. Mr. Bennet’s father initiated the entailment which then passed to Mr. Bennet and on to Mr. Collins who would have to reestablish the entailment. If he did not, then Longbourn would have naturally passed to his son or even a daughter if there had been one. An entailment was created purely to ensure that the estate and lands remained in the family and as a whole. There were many occurrences of property being sold or divided between siblings thus breaking up what previous generations had worked hard to preserve. And if a woman inherited, the line would die out either by her remaining childless or, if she married, it was considered that she was now a part of her husband’s line and the estate would by default have passed into another family. Even if Mr. Collins had re-entailed the estate, it would have passed to his son and been held in trust either by Mrs. Collins or an attorney, although I would assume the former. As an aside, of course, Mary became mistress of Longbourn on Charlotte’s death, as full ownership of the estate would undoubtedly have passed to Thomas. Thanks for the clarification, Andrew. That would explain it. I thought you’d said Wickham was knighted. Thank you, Andrew. This obit is a pleasure….sweet Charlotte, how natural that she would have led such a life of generosity…do write more! Poor Charlotte. That’s the saddest marriage in Austen. Just wonderful! I wanted to believe and your writing made it so easy. I’ve read many sequals and wished I lived during that time. -Poor Mr Collins, amusing to the end …. This obituary was a masterful contium in the life of Charlotte Collins (nee Lucas), and fleshes her out in a very believable way. Mr. Collins will, of course, be remembered for his fawning excesses towards his benefactor, Lady Catherine de Bourgh. It seems, therefore, fitting for him to meet his end by means of his inheriting this same little “wilderness”; thus we find him hoisted on his own petard! Loved every bit of it! So believable. Please, please!! do a followup on Darcy & Lizzy! Would love to see a similar write up of their later ‘lives’. That was fantastic! I was heartbroken when I read the late Mr. Fitzwilliam Darcy! Oh, my how the heart flutters! Spasms and flutters! I really enjoyed this piece. I love the cleverness of it all! What fun it is to imagine Elizabeth and Charlotte, in their late eighties, touring Italy together! Thank you for this glimpse into their fictional future. Charlotte instructed that her remains be interred with those of her husband. What were her reasons? Was this out of respect for the conventions of the time? Or perhaps warm feelings had blossomed during or after the marriage? Please enlighten us if you can. I’m not entirely sure why she put this provision in her will – it was probably done at a late stage in her life. My guess is that she did it to show her respect for a man who had – whatever his (many) failings – managed to set her up in the position she had held for over fifty years. She may also have felt that nobody else would wish to be interred near him. Another interesting question is why Mr Collins was buried at Hunsford at all, as he had already moved away from there when he died. Perhaps they both thought of Hunsford as home, after bringing young Thomas up there for ten years. I don’t think that anything that could really be described as ‘warm feelings’ blossomed between them – Charlotte was quite clear that she was not at all romantic, so – respect for her husband, perhaps; but anything like love, affection, passion, romance, or even attachment – no. I second everyone’s glowing reviews, a thoroughly enjoyable read! Thank you so much. I have one “doubt”, regarding the marriage of Mary Bennett and Thomas Collins, how does this work? Would Mary not be at least 17 years older than Thomas? If he were 20 she would be at least 37 years old, and as such beyond child rearing age? Also, having served as governess to Thomas, wouldn’t the match just have been considered a little too — um, well, pervy? Is this like a reverse Emma/Knightley or Fanny/Edmund? My second question which I am surprised no one has brought up is the excellent matter of the kitty Bennett trial, ha ha! I loved this and am dying of curiosity, what did Kitty do??? Thanks so much and please do write more! it depends on the woman but 37 isn’t impossible, though it is uncommon (my aunt just had a kid at 43), it is a lot more risky however. Delightful. I am pleased to see that Charlotte was able to live a fulfilling life. A pleasant diversion during my work break. Thank you! Bravo! I daresay this ‘spin’ which linked the subsequent lives of most of the main characters was brilliant. Your continuum of their stories was artfully woven together. On days such as this when things are not proceeding in quite the manner that I would wish, I often look at a JA DVD to relax. Today I decided to look up the Regency Period in general and came across this blog. I was absolutely delighted when I read this yarn and became quite caught up in keeping up with the newer characters’ connection to the Bennetts. This made my day. This is so HILARIOUS, and so plausible! loved it. Does anyone agree with me that all of the movie portrayals of Mr. Collins seem to focus on him as a kind of “randy” (for lack of a better word) man? In Austen’s novel, the main impression I get is that he’s a self-important and pretentious social climber (I like to tell myself he’s probably insecure), but in the movies, one sees him almost slavering over the females. I always wanted to believe that Charlotte knew how to handle him and that eventually he would settle down and stop acting so ridiculous, lol. As well as his wonderfully delineated character and dialogue, Mr Collins has been given rather more of a back history by Jane than many of her other characters – especially notable is the effect of his subjection to an ‘illiterate and miserly’ father on his obsequious and clearly damaged – but not actually malicious – personality. Charlotte was clear-headed about her marriage to him, and I think this would have included her perception of it as her duty to have one (but no more than one) child by him. Extremely entertaining! It’s fun to see all the P&P characters again…after many many years, and to trace their fortunes through life. It almost seemed real to me! Good God. Be not alarmed, madam(s), whilst I vomit…. Oh my god! As said by several of the viewers above, this article made my day! One question, though, regarding Elizabeth’s offsprings not being mentioned – as you said in your comments on one fellow reader’s post, only the directly connected and the titled would be mentioned under such a circumstance. But would Mr. Darcy (or one of his sons) not be titled during the course of his life? It’s kind of hard to imagine him not leading an extremely successful career or making great contributions to the nation and thereby not being awarded a title. And of course I’m dying to know the details of the “Kitty” trial, or maybe I should surf on web to find the real trial where your ideas came from? I’m doing a research on regency social manners for a class on P&P I’d give for my “students” online when I came across your article. I’d like to ask if I could use this article as an after-class reading – with tributes to you, the author, of course. I’m sure my (mostly Chinese) students will find this article amusing once they had their heads straightened out for the various connections, since P&P is much loved in China as well. Anyway, many thanks to – again – making my day! I am pleased that you laughed at my piece – the whole intention was to try to capture just a little flavour of the delight that we all get from the original books! On the question of Darcy and a title, that had occurred to me too, but in fact there were a great many very rich and influential landowning families in Britain at the time without titles. I prefer to think that Darcy was following in his father’s rather austere footsteps, and would have actually scorned the frivolity of titles, especially where they would involve being caught up in the intrigues of the Court of the (appalling, extravagant, unprincipled) Prince Regent. Maybe, later, under Victoria it might have been different; but I doubt if Darcy or Elizabeth – or their children – ever cared two hoots about anything associated with the formality of titles, and would have, politely but very very firmly, refused anything that was offered. Please feel free to use the article in any way you like for the entertainment of your students – I would love to know whether they, too, enjoyed it, especially if it got a laugh or two from them! Loved it, Mr. Capes, really enjoyed your work, all but ONE not so little mistake. Cannot understand how you think Mr. Darcy would die before Elizabeth. I know for a fact she lived to 93 and he made 98+, passing just a few days after he lost her. Of course both enjoyed good health and clear minds right to the end. So Charlotte’s travels were with both Darcys, not just with Elizabeth. I have this straight from Jane Austen, who tells me you were on all other points very correct. We both wonder that you didn’t realize that such a magnificent marriage could only come to an end virtually together. Write write write more. Loved it! You realize this fascinating obit on Lady Charlotte/Mrs. Collins has left all of us ardent Jane Austen fans LONGING for more…a novelette would be enthusiasticly welcomed. Have read all the books (finished and unfinished) as well as letters and every available re-write. Have seen every movie (even that version with Greer Garson and Laurence Olivier and those awful costumes that were inaccurate to the period in an effort to make the actresses more appealing to the audience!). Thank you, Mr. Capes, for a clever and original contribution. The entirely appropriate demise of Mr. Collins was the highlight of this piece. I could just picture it and smiled at the delicious irony. I don’t doubt Charlotte’s scrupulous attention to social norms of mourning and I am not surprised to find them buried in Huntsford near his esteemed patron’s estate. “Grateful object” to the end. Regarding the likelihood of Mr and Mrs Collins producing a child, this is not a matter for speculation: it is quite clear that Charlotte is expecting a child at the end of Pride and Prejudice. Mr. Collins writes to Mr Bennet that he is expecting ‘a young Collins olive-branch’, this being a reference to the Psalms where ‘his children shall be like olive branches round about his table’ (quotations from memory, sorry if they are not quite accurate). I enjoyed this piece very much: so amusing, and like many others I am desperate to know what Kitty did….?! Yes – characteristically, Mr Collins was rather muddled in his biblical reference: the olive BRANCH was the symbol of peace from ancient times; the psalm (in the King James version) which refers to children likens them to olive PLANTS around the table. But the meaning in his letter is clear enough. As regards What Kitty Did – I’m pretty sure the Prince of Wales’s involvement was hinted at – not with Kitty herself (she was in her sixties by then), but perhaps with her daughter or her husband; there was definitely more than a whiff of blackmail and scandal about the whole business. And despite the desperate efforts of everyone concerned to hush everything up, it looks as if it came out in a very, very high profile court case. Hmm, must try to find out more about it myself! OOOH, Kitty and Bertie. Now there’s a thought. I can imagine her head would be totally turned if he cast an eye her daughter’s way – a crown even better than a scarlet coat! Thanks for that elucidation of the olive branches: it was much better than mine. I’m afraid I’m not very good on Anglican prayerbooks. The Psalms in the Prayer Book are from the Great Bible of the reign of Henry VIII; Tig Lang is thus quite correct. One small query – would Lizzie Bennet not have been known formally as Mrs Fitzwilliam Darcy? Likewise Charlotte would have been Mrs William Collins, surely? This was the case in formal contexts well into my lifetime. Yes – the formal use of the husband’s christian name in the wife’s title was current, if a little old-fashioned, even when I was young. It amused (and slightly appalled) my mother to be listed in the local newspaper among the people attending a funeral as ‘Mrs Robert Capes’ (actually, now I remember, the thing which amused her was that they got it wrong and printed her name as ‘Mrs Rupert Caper’). 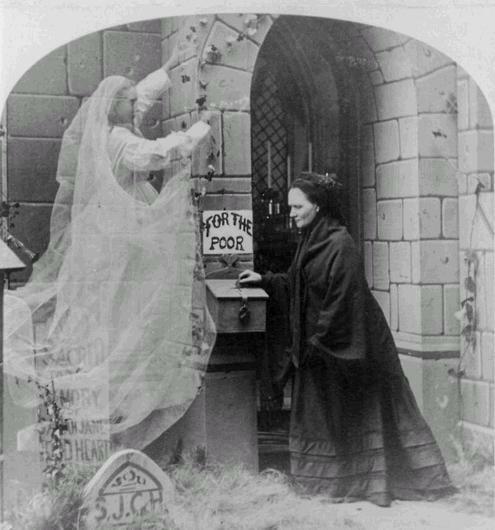 By the nineteenth century, I think it was usual for widows to revert to their own first names unless (as in the case of the two Mrs Collinses) there was any ambiguity. I don’t think, though, that the rules on this particular question were particularly rigid until the end of the nineteenth/early twentieth century. I could be wrong, though. I have just read your post, and I was asking myself if this really could have happened considering the age difference for pairs such as Mary with Mr. Collins’ son, and Wickam’s son with Anne de Bourgh!!! Those two age differences are great, it is true; but once you investigate real lives in the past you find many surprises which undermine the conventional assumptions. I have come across a real life example of one of my own relatives who had her first child (of two) at the age of 43, with a younger father, almost 100 years ago. This has been a lovely read – have never been able to get P&P out of my system (and why would I?!). I would be intrigued to know about the later years of Lady Catherine, in particular her socialising with Elizabeth and D’Arcy. It was hinted at, that she finally accepted the union – but details, details! And of course, we all want to know about the children of that marriage. The book Pride & Prejudice (and BBC movie with Colin Firth, NOT the later one) spurred me on to read plenty of non-fiction about the great houses, lifestyle and servants of that era. Is it only me who feels immensely sad that many of those beautiful old houses and estates – and a more innocent way of life – has disappeared for all time? I don’t think Lady Catherine could ever bring herself to accept Elizabeth unreservedly – her snobbery was too deep-seated – but she did pay her due respects at Pemberley eventually. And although Wickham of course could never go back there, Lydia did, quite often; and it can be safely assumed that Arthur often accompanied her – so that an acquaintance between him and Anne de Bourgh is not at all improbable. And once Arthur had inherited the title (at the age of 20 or thereabouts) he would have become quite eligible for the by then rather desperate Anne – possibly even to her mother, too – despite the wide age difference. Maybe the change to the title (to Wickham de Bourgh) was the price Lady Catherine extracted for her consent to the match. Maybe one day we shall learn more about that! I shall be ever loathe to read of the death of Mr. Darcy. I do prefer Beverly Anderson’s account of the Darcy’s being together until the very end of their lives and that they would serve as hosts and companions for the widowed Mrs. Collins as they traveled abroad. Otherwise, a thoroughly entertaining piece and such a fit ending for Mr. Collins. I am disturbed that the horrible Wickham & Lydia obtained such a success as a reward for their wicked ways. How did he not gamble away everything? I am sure it must not have been a faithful marriage at all – on either part. There must be other “little Wickhams” running around trying to lay claim to his estate! Ah, but your thoughts on Wickham would mean that ‘the good ended happily, the bad unhappily’ and, as Wilde continued, ‘that is what Fiction means’. The idea of the piece was to seem as unFiction-like as possible, so what was reported was what actually happened, not what we think ought to have … there, I’d better stop before I begin to believe in it all myself. Mr. Wilde himself, however, is contrary in his statement as he loved a happy ending with those in triumph being discovered to be good and honorable in their very character. I do not think this can be so with Wickham as his character is proved to be quite the opposite. We must also remember that Ms. Austen wrote of the continued financial difficulties of the Wickhams due to being “two persons so extravagant in their wants, and heedless of the future” and how she and Jane would be “applied to for some little assistance towards discharging their bills” every time they changed their quarters which was frequently – especially after “the restoration of peace.” No, I must, in this instance, believe that they never amounted to anything that was desirable or honorable. Mr Capes, I did not realize that your intention was to be as ‘unFiction-like as possible’. Now that you say so, it’s obvious. But, good thing I didn’t grasp that at once because then I’d never have read past the first three inches. The intention was for the story to seem unFiction-like and to give the illusion of reflecting reality. Real life has a persistent way of taking us by surprise, to places and events we did not foresee, without allowing for the ‘alternative endings’ of Fiction. But in reality it was of course all a fiction … wasn’t it? So, it’s I again. It’s taken me a long period of time before I finally reached the end of the task of teaching P&P, and as I said I recommanded this article as a side-reading. As expected, my students were totally in the dark about the whole network of relations, and I had to point out and explain to them about the parts which I so loved. Nonetheless, it did seem that they enjoyed the joke, which is quite enough for ESL students. And, well, maybe I’m just being obnoxious, but regarding the Darcy’s title – do I recall somewhere in my desperate readings of side articles or fanfictions or whatever it is, that the surname Darcy should actually be D’Arcy, which hints at elevated social status in previous generations? I must confess that I knew little about the social classes in England until I took on the charge of teaching the class I told you about and started reseaching about these things. I used to think that because Mr. Darcy earned ten thousand a year and his mother was “Lady Anne Darcy”, he must be titled (maybe in disguise? ), and wasn’t able to appreciated Lizzy’s assertion that “he is a gentleman and I am a gentleman’s daughter, on this ground we are equal”. Of course later I was set straight that Lady Anne Darcy was so called because she’s a daughter of an earl. But if, as hinted, that the D’Arcys were supposed to be titled, then would it not seem a slap on the royal face to whomever was the king or queen of England at the time to renounce the title? Another question though, with Lady Catherine de Bourgh as a sister, would Lady Anne be allowed to marry our hero’s father if he was not at that time titled? Not that I think the late Earl and Contess of Matlock were as unreasonable as Lady Catherine, but they do still have a daughter like Lady Catherine, which tells a bit about their parenting. I think you ask some very interesting questions here. I have also read the name was D’Arcy though, for the life of me, I can’t think where. Maybe in some old copies of the book. But, another question begs…if Sir William Lucas could be “elevated to a Knighthood” then why would the Darcy’s also not be so? Surely the Darcy family had far more land and money than the Lucas family. The landed gentry usually had a title bestowed upon them and most especially if they were good landlords and of a generous nature. We are assured that Mr. Darcy and his father were both such people. Hmm…a very interesting line of thought and a wonder why Jane Austen did not title him. There were many great families of Landed Gentry in Britain in the eighteenth and nineteenth centuries who scorned peerages and titles as entirely unnecessary to their status in society. A good example were the Bankes of Kingston Lacey in Dorset – probably even wealthier than the Darcys of Pemberley – whose magnificent house was their family seat for over 300 years. The National Trust website gives a good account of its history. As for the question of the Darcy surname – it could have had a Norman origin dating back 500 years or more (i.e. 700 years back from now); but again, such families made very little of such an inheritance, and were simply concerned to pass their land on intact from generation to generation – hence the very strong tradition of primogeniture. The Darcys would, of course, have seen huge changes from the second half of the nineteenth century onwards as a result of industrialisation in Britain. It seems to me that J. A. gives a good description of Mr. Collins as a “tall, heavy looking young man. His air was grave and stately, and his manners were very formal.”. The complete reverse of all the Mr. Collins in the filmed versions. The directors go for the easy stereotype I suppose, although any competent actor could add the pompous demeanor. With regard to Charlotte’s possible life with her husband, would she have felt reviled by him as everyone seems to think or would she have accepted him as a partner, helped over time to lighten his manner, enlarge his ideas as it was her first duty to look after his wellbeing? We probably all know people from other countries who had arranged marriages to partners they are less aquainted with and they often do appear to be as happy as we do who marry our own choice. Forms of address for married ladies was always with the husbands name eg. Mrs. Fitzwilliam Darcy even in widowhood. The exception was for a divorce when one used their Christian name eg. 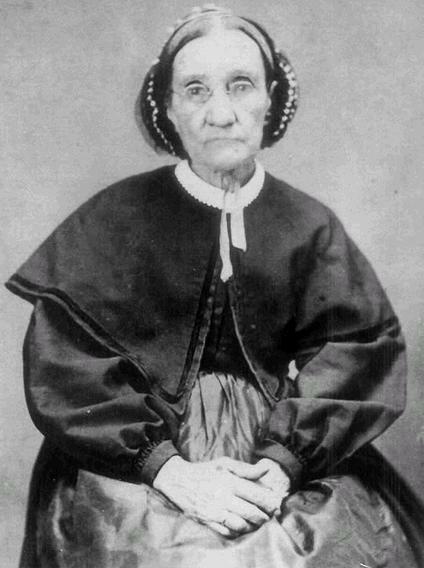 Mrs. Lydia Wickham (couldn’t use Elizabeth for that example). I thought a Normas Darcy was a name associated with the Conqueror. Oh this is delightful. I confess to relief upon reading that Mr. Collins went to his reward sooner rather than later, since Mrs. Collins was so well provided for at Longbourn. Please, please write about the Kitty Collins trial! Marvelous! Beautifully realized, and I, too, love the means of dear Mr Collins’s demise. some of us to cringe over, while recalling. well loved and living a long life. Lilibet, you say that the description of Mr. Collins is completely opposite to his portrayal in any of the filmed versions. This is not so: the TRULY EXCELLENT BBC version from 1979 has a tall, heavy looking Mr. Collins with a grave and stately manner (rather undermined by their very funny accompanying music). … and the ‘Lost in Austen’ version of Mr Collins fitted the original description pretty well, too. This is really most ‘diverting’! I loved the portrayal of Charlotte’s practical nature, especially in the 1995 BBC version of P&P. this was fantastic! i, also, was caught up in the lives of the characters and forgot, for a wee moment, that they were not living and breathing. for me, austen’s work breathes life into the characters – she makes us forget that we are not reading about people who could be living. this obit made me feel the same way. you truly captured the essence of the characters and allowed me to believe, for a brief moment, that there was more to read and enjoy about their lives. THANK YOU!!!!! The only drawback for fans of Jane Austin is the ‘desire to know what happened next’. Your obituary certainly holds the framework for follow up novels, and, having been written, will work its way in to my imagination as ‘fact’. Much enjoyed. Preapring a piece on P&P myself. Mr Capes this is wonderful! So funny and full of delicious irony, which most who attempt P&P follow ons fail to achieve. The elevation of the Wickhams is particularly hilarious. I have often thought that someone should do for Lydia what George MacDonald Fraser did for Harry Flashman, and you seem to be the man for the task. Yes – Lydia seems to have led an eventful life; but her fearless energy would have suited her well for it, I suspect. I think that by this very late stage of their lives, Lydia and Elizabeth might have resumed a quite friendly relationship with one another. And I am sure Lydia settled in well with the dynasty that had become established at Rosings by that time, too. from a small wilderness beside a lawn in his garden, the resulting wound from which most unfortunately became infected.” Nice quoting of the “wilderness” expression Lady Catherine uses in P&P. And such a fitting ending for Mr. C. Does this mean Charlotte accidentally caused her own husband’s death by encouraging him to garden so much? “Does this mean Charlotte accidentally caused her own husband’s death by encouraging him to garden so much?” … perish the thought! But of course, unforeseeably, at the time of his death Mr Collins had already given her everything she wanted in life: a home, a family (Mary, though adult, was already poised to take the role of adoptive daughter), a comfortable establishment, a fine house and estate, so he had in effect already become surplus to her needs. She, though, could not possibly have seen it like that – and, I am certain, would never have dreamt of doing so. When Mary Bennet married Charlotte’s son Thomas born 1813 she would have been around 39 years old and young Mr Collins but 21. Mary had to be at least 39 as Lydia and Kitty were both younger and Lydia was around 16 when she wed. In 1812 Mary was old enough to be Thomas’s mother. I doubt Miss Austen would have been so careless. I quite agree that a sensible author would not have put such an occurrence into a novel, as it would have diverted the reader’s attention much too far away from character and plot development. But that is quite a different matter from reporting (even fictional) real-life events. I repeat what I said earlier: that I found an example from my own family history of a relation who had her first child (whose many descendants are around today), of two, at the age of 43 – yes, that’s forty-three – almost 100 years ago. Such things really could and did happen, however much we might disapprove of them. In fact, perhaps we should re-examine the reasons for our disapproval, because few of them, I think, would stand up to rational scrutiny. Andrew, There were a number of instances back in those days when young men married women old enough to be their mothers. It is not a far stretch to think that Jane might have observed such a relationship and would possibly have explored a similar story line had she lived long enough to write more novels. You are perfectly correct and I apologize for my oafish behaviour, I shall have to think first in the future before dashing off such an ill thought out criticism. Thank you Andrew, this was extreamly witty. It cheered me up immensly on a bleak rainy day! i constantly read about Jane Austen’s life so when I saw this I just clicked on it and halfway thru I realized I reading about one of her characters. So that should tell you how believable it was to me. Amazing job Andrew! I’ll have to admit that my heard skipped a beat at the mention of Darcy’s name as well. Oh! Miss Austen and I share something in common – our birthdates – December 16! If you are a lover of all things Jane Austen, as I am, then you will surely appreciate this post from the Jane Austen World blog (here on WordPress) – an obituary of Charlotte Collins (best friend of Elizabeth Bennett in “Pride And Prejudice”). Wow. I really liked this. I liked this a lot, except for the Wickham succes part. Not because bad has to end bad, but because Wickham has all the typical signs of being a sociopath. There are succesful sociopaths in business and such, but they are far more succesful in masking their sociopathy, and even then at some point run into exposure through great fraud being exposed (Madoff). In every sense, Wickham is a mediocre sociopath who will not forego a moment’s pleasure for the long term benefit (as Mr. Gardener originally hopes), as well as very personally spiteful against his self believed narcistic injury (the possibility of hurting Darcy through eloping with Georgiana, repeated with injuring Elizabeth through eloping with her sister after Elizabeth made clear she has no interest in him anymore). All Wickham truly has going for him is his charm, which is easy even for criminal sociopaths. As for the army: sociopaths are the best in killing the enemy because they are fearless and rash, but they will be the last to save their comrades (no empathy, selfish). It is more likely that Wickham lies to society that he earned a medal, than that he actually did earn one, let alone earned a title over it. And he would have hardly held on to the same garison for more than a few years. (them changing quarters so often suggests this). As for the son: there is a hereditary factor to this, and with Lydia as the frivolous mother there is hardly any nurture aid to overcome what was nature would give the son. Chances are low that Darcy and Lizzy would have tolerated such a nephew in Pemberley for long. On the other hand, such a son might have charmed his way in with an older, old maid with money and property with greater succes, and succeeded where Wickham didn’t. All in all, I find that part quite unbelievable. Yes, it was quite extraordinary that Wickham turned out as he did. It was certainly not in any way foreseeable, but life has a way of taking unpredictable twists and turns. It is easy to pin a label (‘sociopath’) on someone, and expect them to conform to it for the rest of their lives. But chance can sometimes result in a violent change of fortune, especially in a military context. I do not know what the circumstances were that led to George Wickham’s transformation from charming villain to titled hero, but I think it must have been a combination of his all-or-nothing gambling streak (remember his debts – and even the recklessness of his elopements), and his just happening to be in the right place at the right moment to bring him to the attention of someone very, very influential. Remember also that there was only a very short time between the title being conferred and his death in action. What actually happened was undoubtedly hugely unlikely: but it is equally certain that it was not impossible. That being so, the credibility of a (fictional) piece of factual reporting does not need to be called into question. I conclude then he died because a suicide mission killing enemies by the above account. Of course, someone who is a sociopath will alas never alter in mind and heart, but only gets better at their mask and deception. But I assure you it’s not a label I give freely. Many of Jane Austen’s villains are not: most of them are just weak, thoughtless, selfish men/women imo. There is only one though who truly is petty, projectively smearcampaigning, vengeful, entitled, succesfully deceptive and charming. I think that if he had not died because of action, he would have loved to ruin his career some more, leave some debt behind and move to several quarters more, knowing it would make Mr. and Mrs. Darcy feel obliged to spend money on him once again to ease their sister’s difficulties. I read this lovely obituary twice and found it more fantastic the second time. Thank you for a wonderful read. It also made my day and I will treasure it forever. I can see Wickham campaigning with Sir Harry Flashman!